How to get rid of search bar at top of screen? Home »	Uninstall » How to get rid of search bar at top of screen? Issue: How to get rid of search bar at top of screen? Hello, I have a problem, and I hope you can help me with it. I have an annoying search bar at the top of my screen, and to be quite honest I have no clue where it came from. I don't like a cluttered desktop, so I want it gone. However, because I don't know what it is, I am not sure what am I suppose to do to get rid of search bar at top of screen? Help would be appreciated. Additional objects on the desktop can be annoying to many users – especially when they appear out of the blue. 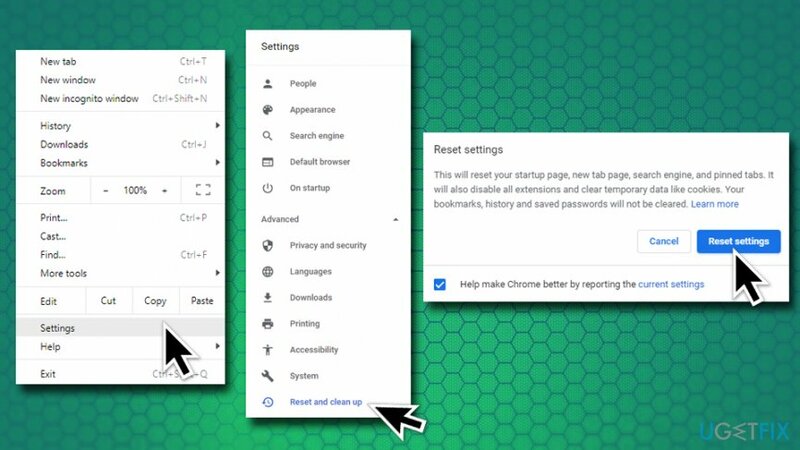 We believe that users themselves should choose what they want to keep on their desktop, therefore, we will help you get rid of the search bar at the top of the screen in this guide. 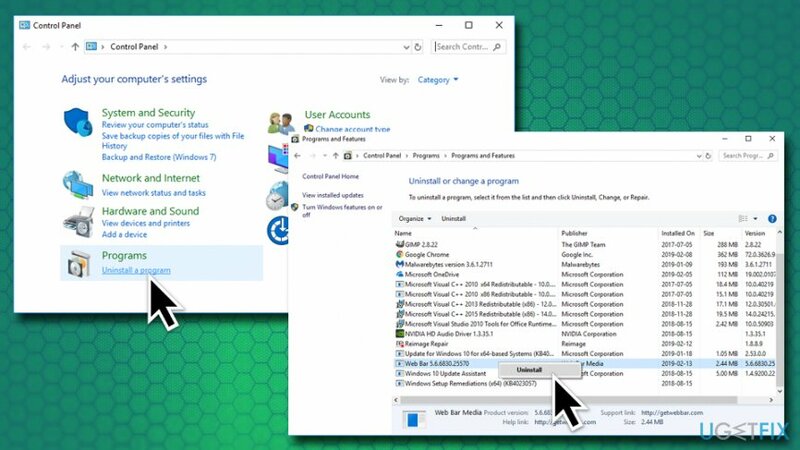 Many users complained on official Microsoft forums, claiming that they do not know where the suspicious toolbar came from. Well, what they are experiencing is a hijacking of a potentially unwanted program. 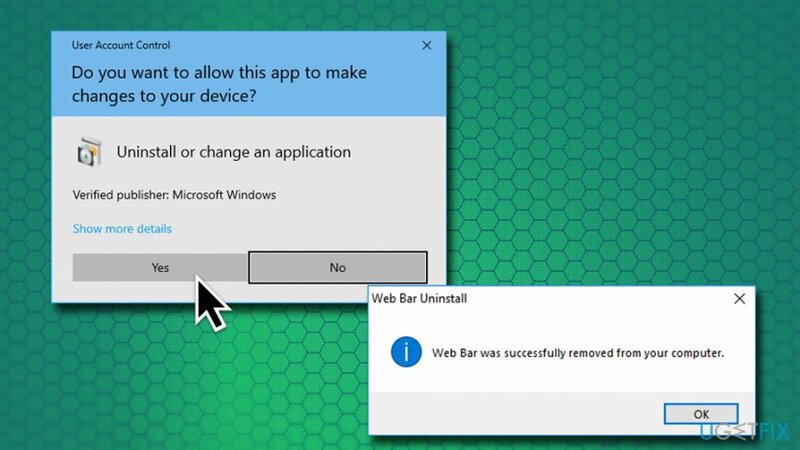 These applications are often bundled together with other free software from the internet, so those who do not pay close attention to the installation procedure might have installed the PUP without noticing. Generally speaking, all these apps are bloatware on its own, so should be avoided in the first place. There are always legitimate and better alternatives for such software. If anything, it will spam you with ads and redirect to unsafe pages, preventing from searching the web normally. In some cases, it may even lead to malware infections or personal data leak. Speaking of search bar at top of screen, it does not have an option to disable it within the app itself. Therefore, you will have to uninstall the search bar at top of screen via the Control Panel. Additionally, you might want to reset your browsers just in case the PUP made some modifications there. All in all, multiple applications might be connected to the annoying toolbar at the top of the screen. 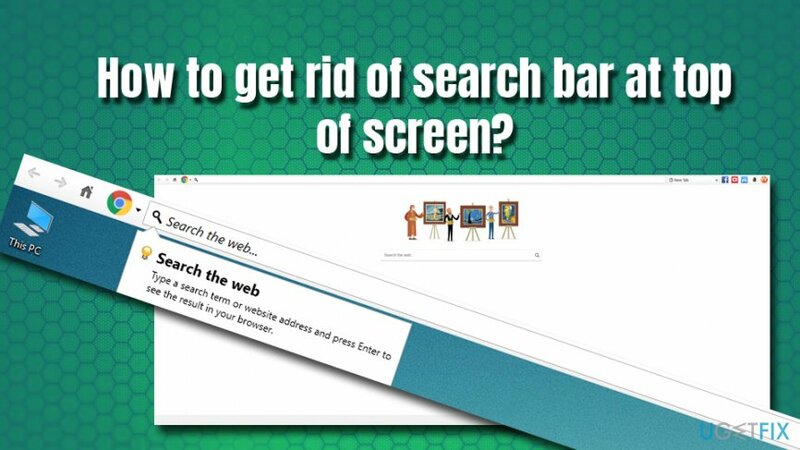 In the below instructions, you will find a detailed guide on how to get rid of search bar at top of screen. Type in Control Panel into Cortana's search bar. Once you locate the unwanted program, right-click on it and select Uninstall. When User Account Control shows up, click Yes. 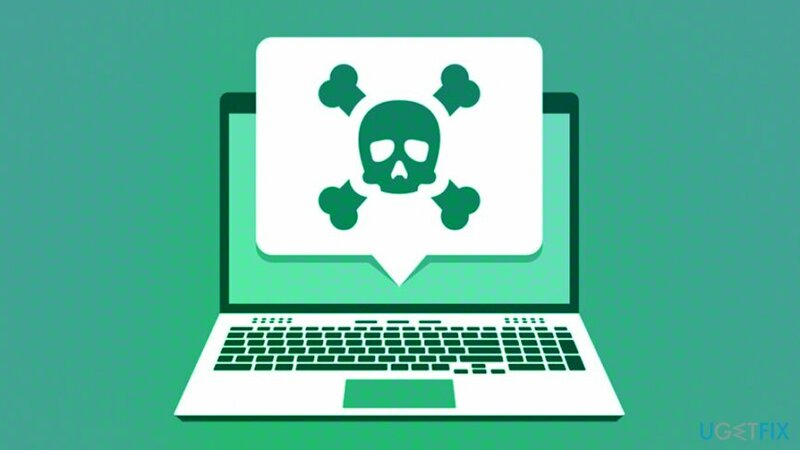 In case your anti-malware applications found some malicious entries on the PC and then removed them, there is a big chance that several modifications to Windows were made as well. To restore the operating system to a normal state, scan it with Reimage. This software can cure the affected Registry, replace corrupted files with new ones and bring the machine back to a perfectly working state. Click on the Menu and select Settings. Scroll down and pick Advanced . At the very bottom, find Reset and clean up. Select Restore settings to their original defaults and then click on Reset Settings. Click on Menu and pick Help. Select Refresh Firefox and confirm your selection. 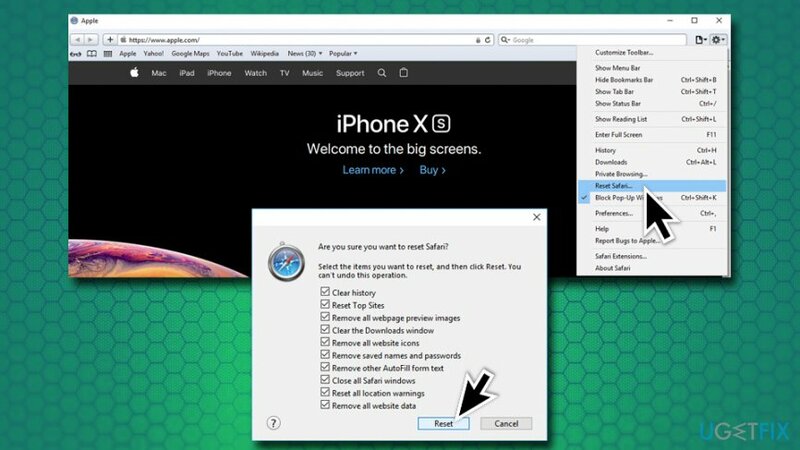 Open Safari and select Reset Safari. Select all the tick boxes and click on Reset. Pick the Advanced tab and then tap on Reset. Under Reset Internet Explorer Settings, pick Reset. We hope that this guide helped to to fully get rid of search bar at top of screen! ^ How to remove the search bar which is stuck at the top of the screen?. Microsoft. Community forums. ^ Preston Gralla. Bloatware: What it is and how to get rid of it. Computerworld from IDG. IT news, careers, business technology, reviews .